It is already the time to announce the next years doll making workshops at the European Waldorf Doll Seminar in 2020. This event takes place every second year, bringing hundreds of doll makers from all over the world together. Next year I will be there again, and offer couple of classes. I have been into needle felting the dolls' heads for a while now. 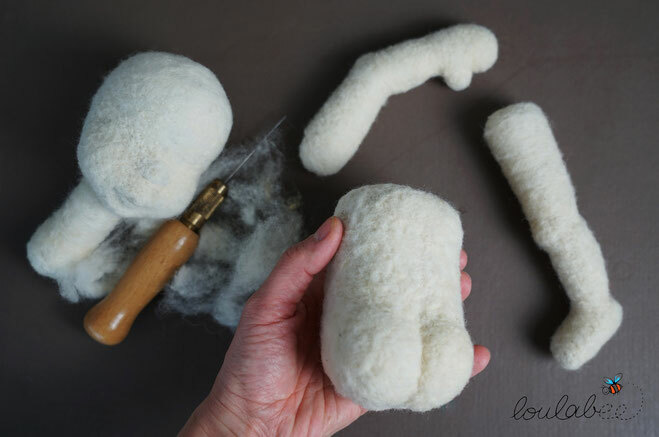 I also started needle felting the body and the limbs, which gives me more possiblities in exploring the body forms. I though this might be also interesting for other doll makers who are keen to refine their skills in doll making and explore trhe possibilities of working with woll and needle. So I will be offereing two different classes in sculptural needle felting. The first one will concentrate on sculpting the head, and the second workshop will be on sculpting the torso and the limbs. Each of the the two classes will take two sessions, a complete day. Additionally I am thinking of giving a third workshop, in which I will show you how to make a baby doll with a sculpted head. This workshop will be held on four session on two days. If you have any questions, you are wellcome to ask me.